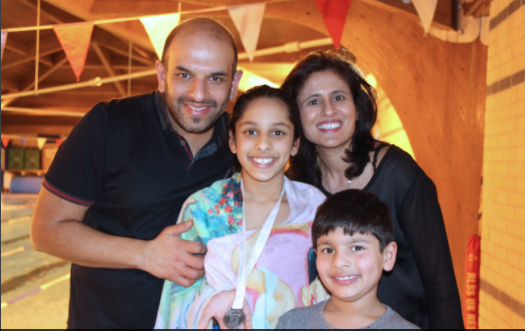 10-year-old Anaiya Doshi has raised more than £1,000 for charity after completing a 2.5 km swimathon. A keen swimmer, the Year 5 pupil at Alpha Prep School in Harrow, signed on to take part in the Sport Relief Swimathon after being inspired by a friend. Initially she had signed up for a 1.5 km swim with a £300 fundraising target, but she soon realised it may not be enough of a challenge, therefore increased the distance to 2.5km - 100 lengths of the Canons Sport Centre pool. Her parents Varsha and Rajeev Doshi reportedly said they are incredibly proud of her achievement. Anaiya's little brother Rian, seven, has also started to look into what he might be able to do for charity and his current favourite is a sponsored tell-a-joke challenge. To donate to Anaiya's fundraising effort for Sport Relief visit: http://my.sportrelief.com/sponsor/Anaiya.